The China tariffs are back on. On Tuesday, the White House said the administration would proceed with its proposal to impose 25% tariffs on $50 billion worth of goods from China, and place new limits on Chinese investments in US high-tech industries. The decision comes after top administration officials have tried to dampen fears of a trade war. Treasury Secretary Steven Mnuchin said a trade war with China was "on hold" less than 10 days ago. And Commerce Secretary Wilbur Ross is expected in Beijing on Saturday to help ease trade tensions between the two major trading partners. Beijing has previously pledged to retaliate against the 25 percent tariffs. In a brief statement, the White House said the president plans to take "multiple steps" to protect domestic technology and intellectual property from certain "discriminatory and burdensome trade practices by China." The latest step follows a March report by the US Trade Representative Office, which undertook a seven-month investigation of China's handling of technology transfers and intellectual property, according to the White House's statement. 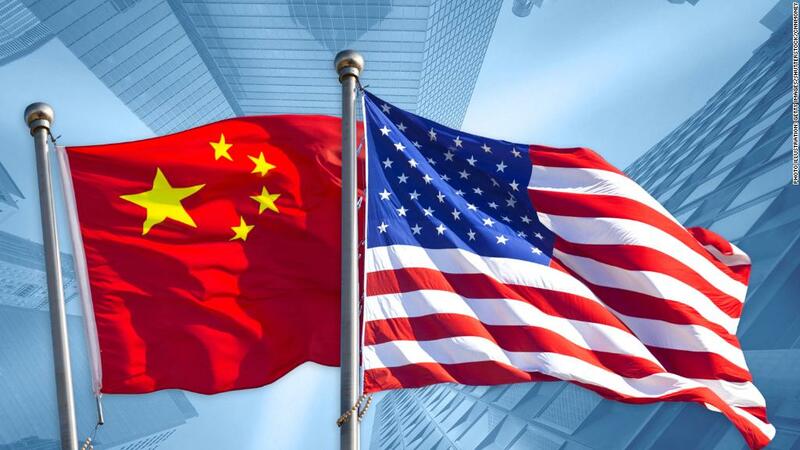 "The United States will implement specific investment restrictions and enhanced export controls for Chinese persons and entities related to the acquisition of industrially significant technology, the White House said in a statement. The final list of covered imports subject to tariffs will be announced by June 15. Those tariffs will take effect "shortly thereafter." Proposed investment restrictions will be announced by June 30 and also take effect at a later date. China and the United States had agreed earlier this month to put threats of tens of billions of dollars in tariffs on ice after Chinese Vice Premier Liu He, the top economic advisor to President Xi Jinping, led a delegation to Washington. The countries said China would "significantly increase" purchases of US goods and services to reduce their trade imbalance, a top Trump administration demand, and pledged to continue talks. In a statement, China's Commerce Ministry said the announcement is "obviously in violation" of this recent agreement. "We were both surprised by and expecting the statement issued by the White House. This statement is obviously in violation of the consensus reached in Washington recently by both China and the United States," the Commerce Ministry said. "Regardless of what measures the US launches, China has the confidence, capability and experience in safeguarding the interests of the Chinese people and its core national interests. China urges the US to move in the direction of the spirit of the joint communique." -- CNN's Steven Jiang and Julia Horowitz contributed to this report.